I really missed freddo cappuccino at patisserie amelie last night. 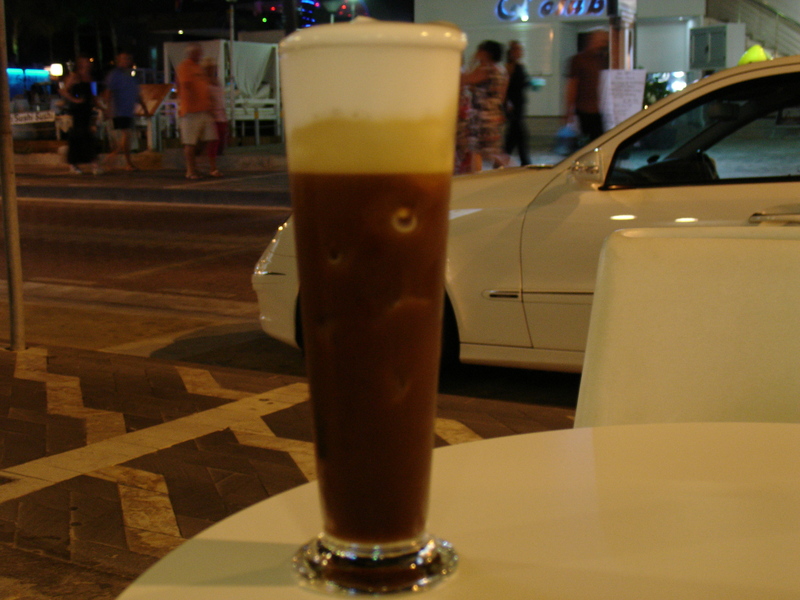 Sitting at patisserie amelie drinking freddo cappuccino late at night on a warm night watching the world go by, with music drifting accross from Guru, is very relaxing. Music from Guru was not so good tonight, moronic thud, thud, thud. patisserie amelie is located in the centre of Protaras, outside Sunrise Beach Hotel, opposite Eden Square. At the symposium, Shiva provided a dizzying array of data to describe how monocultures result in food that is both unhealthy and not nearly as tasty as it could be. “They claim that they are feeding the world,” said Shiva of those who push the Green Revolution, “but it is actually small farmers who account for 72 per cent of the world’s food.” She condemned companies like Monsanto for having the gall to patent seeds (“Patents are for inventions, not for life”), and described how pesticides and genetically modified foods harm both the land and the people that consume the crops. She also alluded to the nefarious efforts some of these corporations have made to maintain the status quo, like pushing out scientists whose data doesn’t support their agenda, and charging royalties for seeds that can push farmers to the brink. To support the latter point, Shiva referenced the staggering suicide rates among farmers in India. Perhaps because she was addressing an audience made up primarily of chefs, Shiva emphasized how being guided by deliciousness can actually help the problem. According to her, instead of deluding ourselves with the promise of things like Golden Rice, we should support indigenous agriculture so we have a world of diverse, unpolluted, and tastier foods to draw from. Thanks to Martha and David Payne and NeverSeconds. Sunrise a little after seven o’clock this morning. A very pleasant morning for a boat trip on Napa King II. Out to sea, a little cloudy and breezy, but once the clouds cleared, clear blue sky. Of late, the Napa King II, has sailed to Cape Greco, dropped anchor at Blue Lagoon for swimming, then Famagusta on the return leg. Today, at my request, Famugusta first. Usually Famugusta is a smudge on the horizon. Today it was as though we were much closer, all the hotels easily visible as individual buildings. I asked. It was exceptional weather conditions, low humidity, the wind off the land, and as a result, heightened visibility. 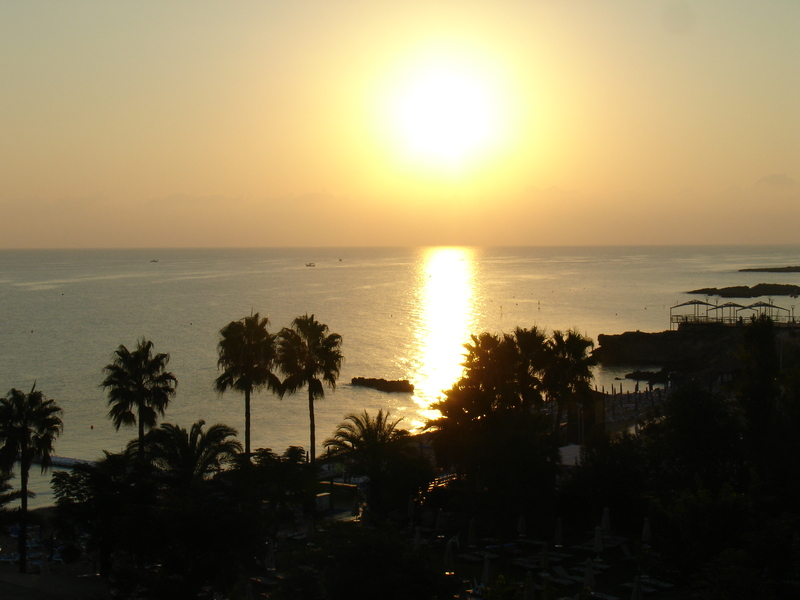 Then set sail for Cape Greco and Blue Lagoon. We sailed much closer to the sea caves and Lovers Bridge. We were able to do this as no other boats around and the wind and current ideal conditions. We dropped anchor at Blue Lagoon to allow 20-30 minutes swimming. Sea Dream II was moored nearby, only problem it was not moored, people being towed on a line, potentially very dangerous. On mooring at the pier in Protaras, Aphrodite II moored nearby. A very noisy boat, it was noisy when it set off. Not a pleasant boat trip. The last few days the pirate boat moored at the end of the pier has left the gate unlocked, any one, a child, could walk off the end of the pier. I walked on board and raised this. They claimed it was kids, opening the gate to dive off the pier. I have never once seen this. My response was lock the gate as does the other boats, then you will not have the problem. The crew and the boat very rough. Not a boat I would feel safe sailing in. 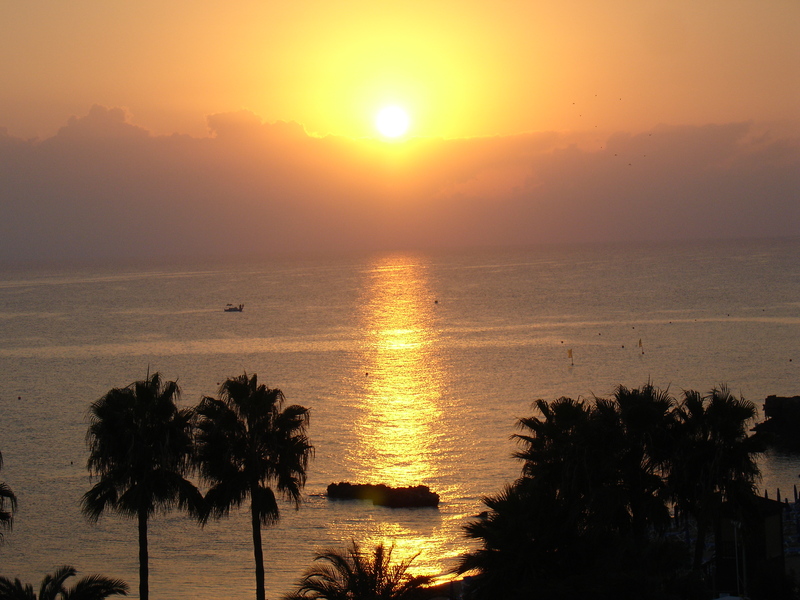 Hotels all-inclusive, is having a devastating impact on local businesses and damaging the local economy. Napa King II is seeing numbers down compared with last year. It is time the government got its act together and outlawed all-inclusive. Napa King II sets sale from the Protaras Pier, 11am and 2pm every day during the season. There are also occasional night trips. It is always a pleasure when you stumble across musicians worth listening to. 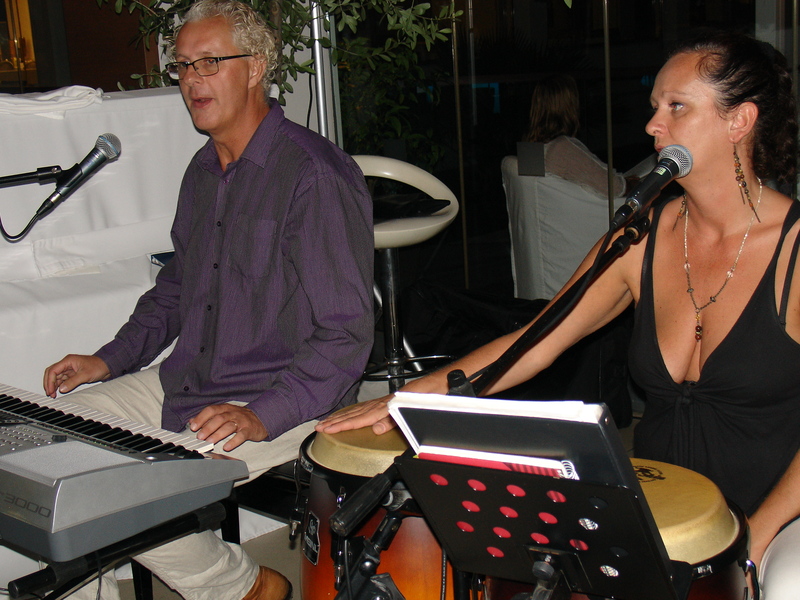 And so it was with Livia Duo playing in the lobby bar in Capo Bay Beach Hotel in Protaras in Cyprus. They made a pleasant change from what masquerades as entertainment in tourist hotels. An interesting improvisation of the Eric Clapton classic Layla. I suggested they check out bandcamp (for albums) and soundcloud (for individual tracks and work in progress). Livia Duo are from Hungary. 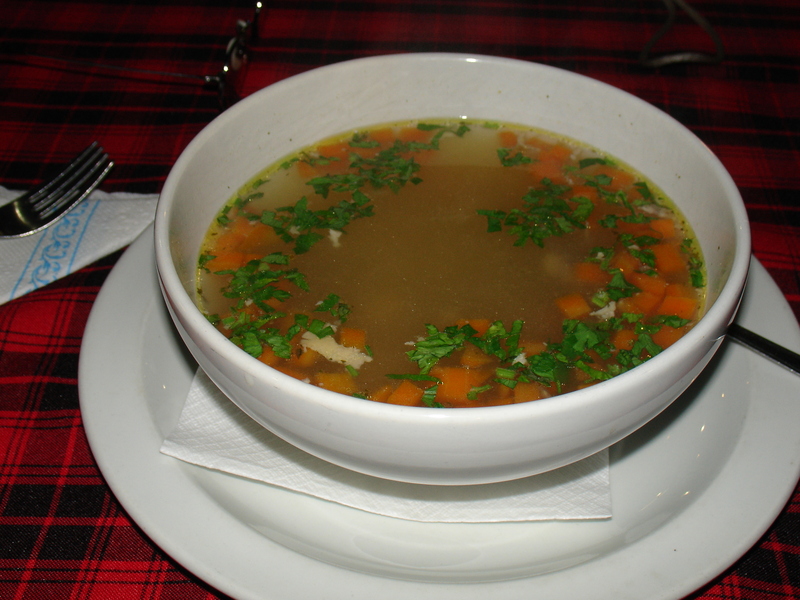 For starter, excellent chicken soup, far better than the chicken soup at Marcello’s a couple of days ago. I had sea bass. I had sea bass last May, which I enjoyed. This time I did not though much enjoy it. There must be a nack to eating the fish, I made mess of it. Others had grilled salmon and kleftico, which they said was good. 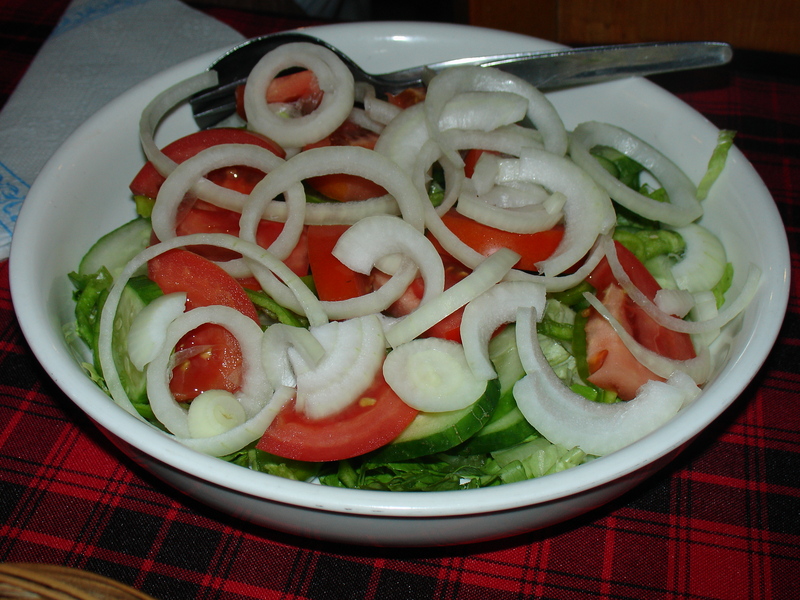 As the vegetables are never very good, a Greek side salad, which was excellent, far better than the side salad at Marcello’s a couple of days ago. It was quiet, eight o’clock is probably early for a Greek-Cypriot taverna. It soon filled up, though not packed, it was very busy. Although busy, Nicolas Tavern was not as busy as in the past or as busy as I would expect on a Sunday. 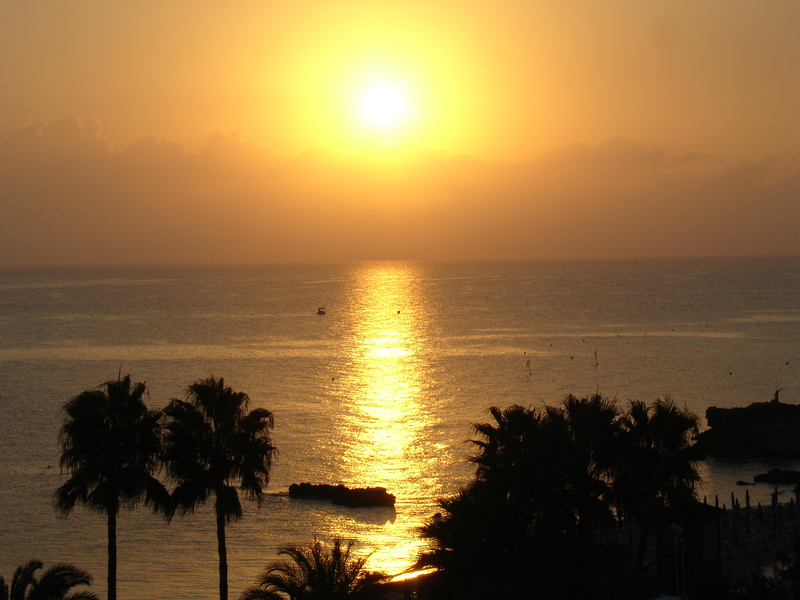 Hotels all-inclusive, is having a devastating impact on local businesses and damaging the local economy. Nicolas Tavern is also being hit by fake reviews on TripAdvisor. Nicolas Tavern, is a traditional Greek-Cypriot taverna, more or less opposite Capo Bay Beach Hotel, at the Ayia Napa end of Protaras. 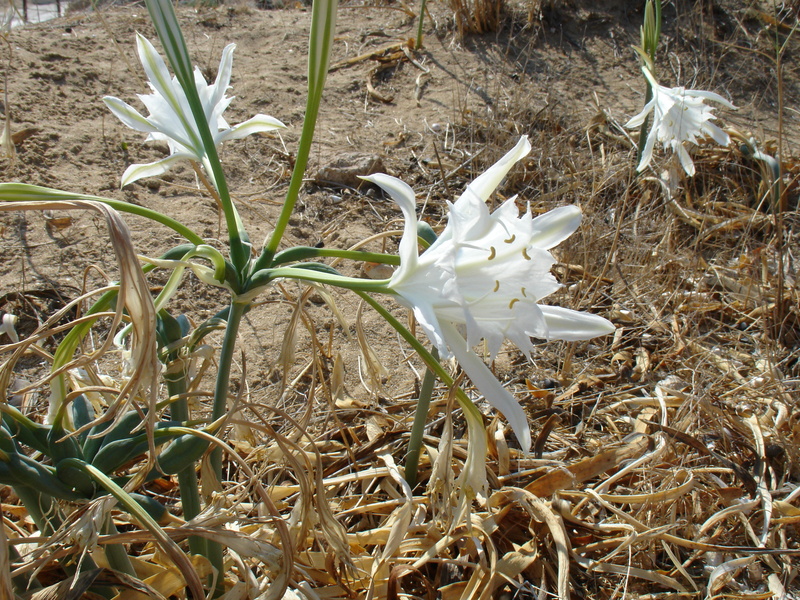 Sea daffodil, Pancratium maritimum, is found on the coast of the Mediterranean, Caspian and Black Sea. 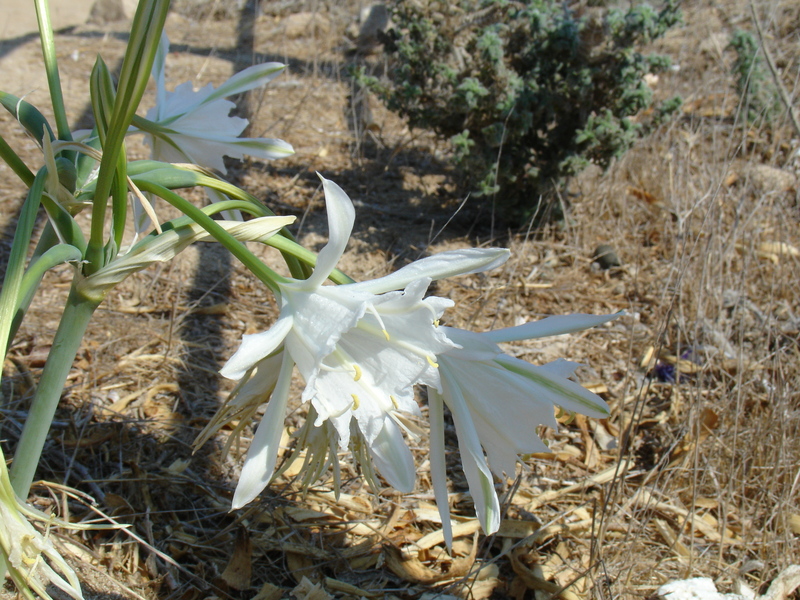 A member of the Amaryllidaceae family, it used to be widespread in Mediterranean, but now quite rare. Protected pockets can be found on the edge of the sandy beaches in Protaras, and isolated plants beside the Protaras-Pernera Coast Path. Mid-morning, clear blue sky, 29C. You are currently browsing the Keithpp's Blog blog archives for September, 2013.